I was about ready to jump in this ocean over the weekend. So hot here! Before, it was rare to see temps in the 90s in September, but not anymore. I am sooo thankful we put in A/C last summer. Kinda missing those cool temps in Alaska right now. 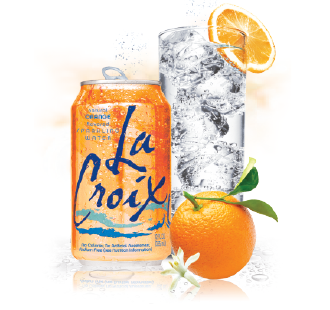 Something I’ve been drinking to beat the heat is Orange LaCroix Sparkling Water. It’s the best! No calories, no artificial sweeteners (they give me a headache) no sugar or artificial flavors. Just a hint of citrus and enough carbonation to make you feel full. There are other flavors, but I like this one the best. The orange flavor is sometimes hard to find, so I have to settle for lemon or lime once in a while. I do find I like them better with an actual wedge of lemon or lime added. Sorry, can’t recommend the berry flavor at all. 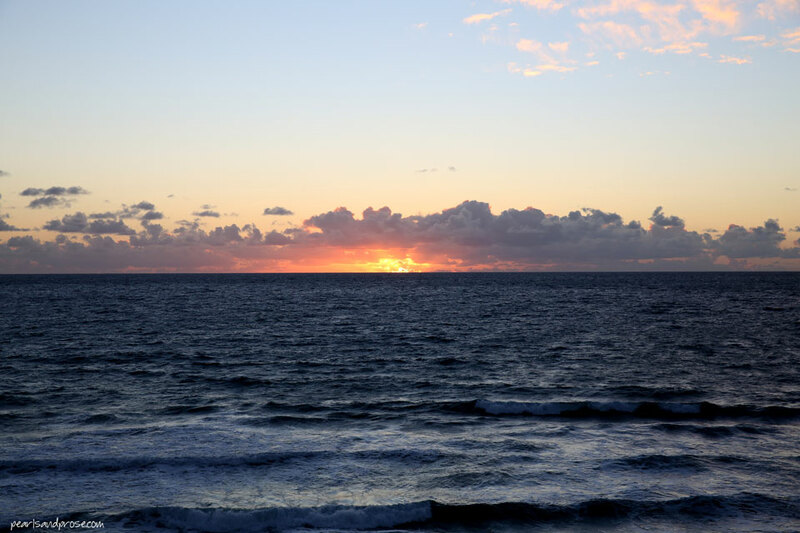 This entry was posted in photography and tagged beach sunset, California, LaCroix sparkling water, Pacific Ocean. Bookmark the permalink. It’s very cool here. I don’t mind. The summer was so hot. We have so waters like that here too. I like lime. Oh, I’m glad to hear it’s cooling off over there, Caroline. Really can’t believe I was sick for nearly a month. That never happens to me. Thank you! I have enjoyed reading your posts about living in Saudi Arabia so much. That sounds so good, Jackie! I do miss sweater weather.